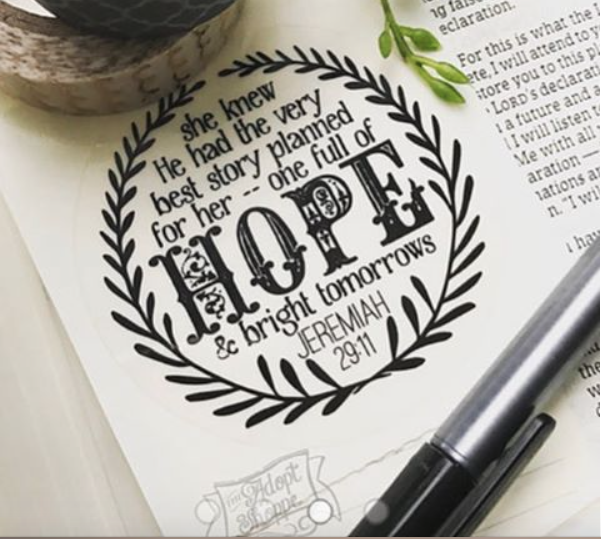 2" clear sticker that reads, "she knew He had the very best story planned for her -- one full of HOPE & bright tomorrows." Jeremiah 29:11. Love this sticker from the Adopt Shoppe! FREE SHIPPING!